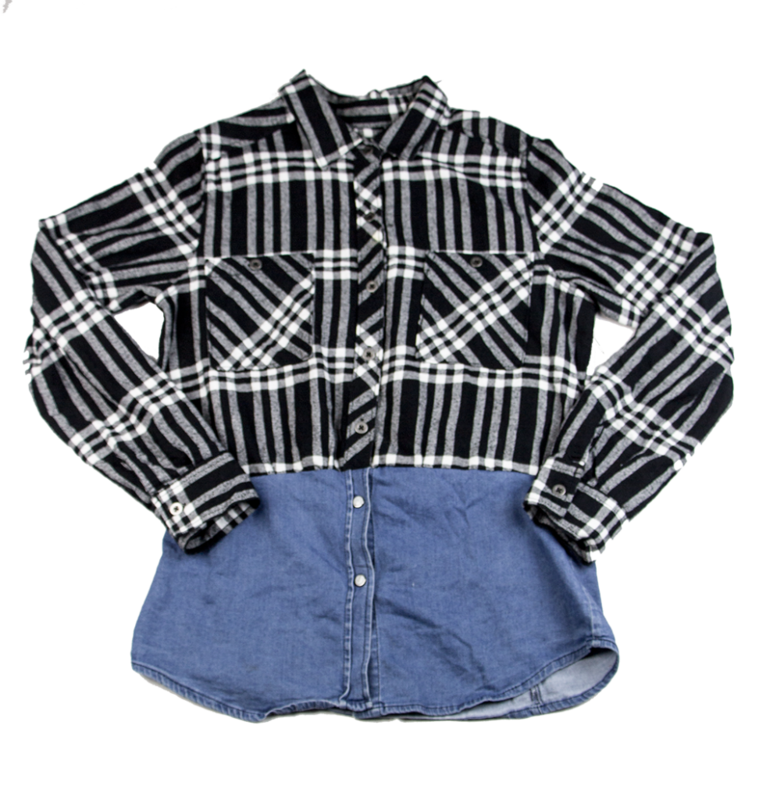 Sir and Madam has a classic American style that meets street wear style, so, with this womans top I chose to take a plaid button up top and attach a denim button up bottom. Based off of my research of Sir and Madame this garment compliments the overall style; the pairing of the plaid and denim button ups caters to the street wear style while sustaining a classic feel to the garment. I would style this top with jeans and the red Sir and Madame bomber to add a pop of color to the outfit.